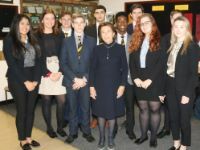 Hannah Lewis MBE, Holocaust Survivor and friend of TBSHS, once again visited TBSHS (15th January) to speak to a new group of students in Year 12. 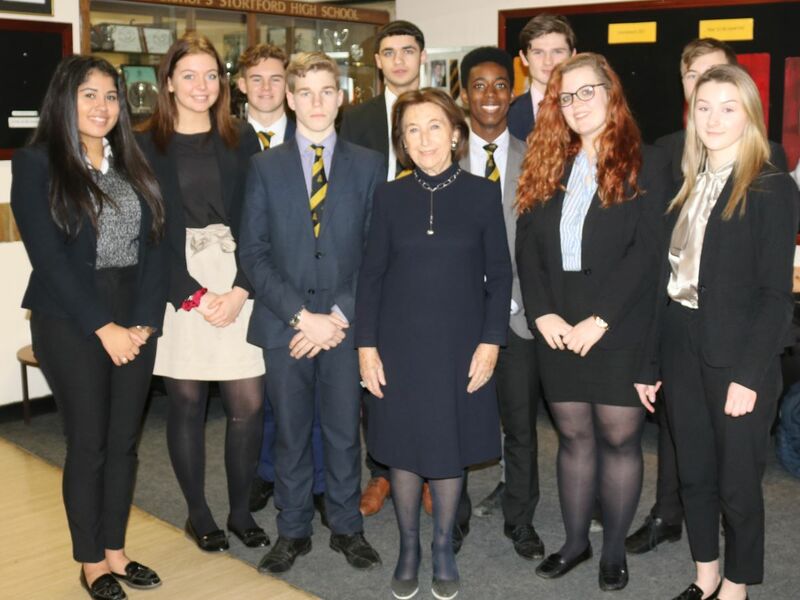 Hannah has been coming to TBSHS for several years to speak to our students about her experience of her childhood in the Nazi labour camps of WW2. Hannah spoke for an hour describing her memories and life in during the war, and the brutality she experienced. 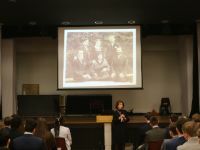 Using old family photographs which were hidden before the war by her parents in case they didn't survive, she told her harrowing story, including the day her mother was murdered in front of her, to a stunned and silent group of year 12s. Simon Etheridge, Subject Leader for RS and Citizenship commented "It was an honour to welcome Hannah Lewis MBE. Hannah has visited the school a number of times and said "It is like coming home" on entering the school. Hannah is a truly inspirational, humble, eloquent, kind, intelligent and graceful speaker and person. Hannah is everything a human being should be. She was recognised by The Queen in 2018 with an MBE. Hannah's told the history of how her wonderful mother sacrificed her life for her when the evil of Nazism was outside where they were living. Hannah's story was also one of resilience both then and since, welcomed in to the UK after the end of the Second World War. Underlying Hannah's history was the love of a family for each other and their community and the suffering beyond words experienced because of Nazi evil and the prejudice and discrimination caused. 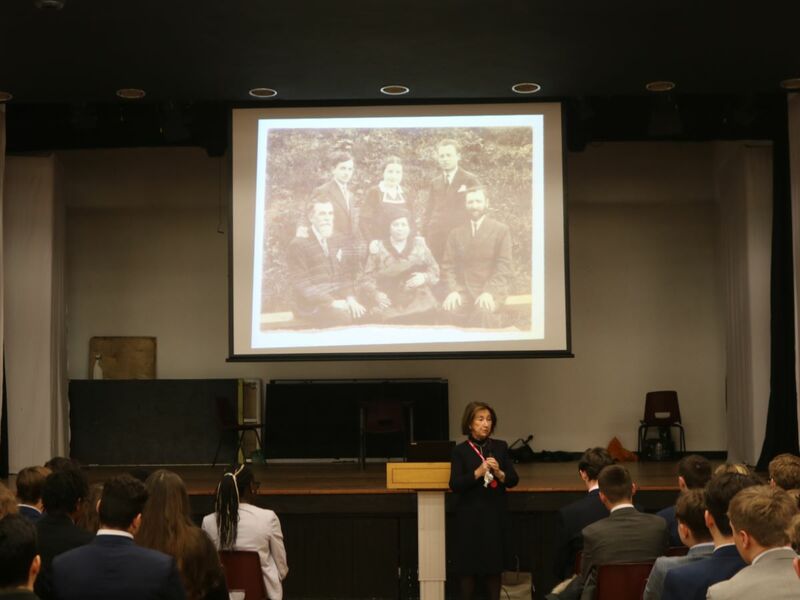 Students were encouraged to always remember and never forget the Holocaust where so many people from so many different groups suffered persecution. They were encouraged to pass this history on their children and children's children so the world never ever forgets. We pay tribute to Hannah, 80 years of age, her family and, of course, Hannah's mother who lives on through Hannah's witness, wisdom and warmth. It is not easy for Hannah to share her history, because it is her history. For many years, Hannah could not speak about the suffering endured. Over the years, it is not routine for her but suffering she experienced and, as she once wisely said, "lives alongside." 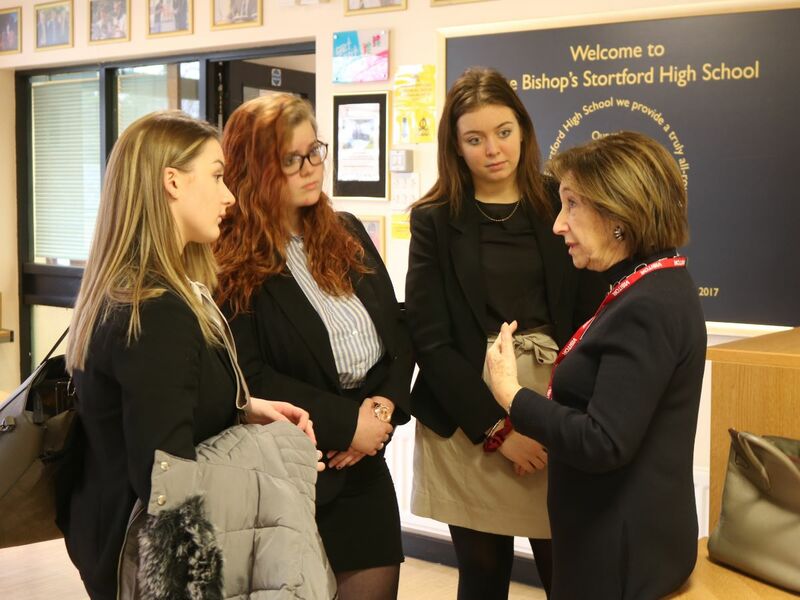 Hannah was very impressed by the politeness and engagement of Year 12. This says everything about Hannah. Hannah Lewis MBE is a truly great citizen and TBSHS was honoured to welcome Hannah once again. " Hannah Lewis was born on the 1st June 1937 in Wlodawa, Poland. Wlodawa was and is a small market town on the river Bug, now on the border with Ukraine. Hannah was an only child and the much loved daughter of Adam and Haya. She came from a large prosperous family and her grandparents owned the main shop in the town as well as the saw and flour mill and various properties. They were respected in the town and both her father and her grandfather had a lot of contact with the Polish people living there and the surrounding areas as they traded with them. Hannah had a happy and uneventful childhood until war broke out and the Nazis occupied Poland. Increasingly, Wlodawa began to fill up with Jews trying to find a safer place outside large cities and became full of refugees. Some of them moved in to her parents’ house. In 1942 the Nazis began rounding up the Jews of Wlodawa to either nearby Sobibór extermination camp or various labour camps. In 1943 Hannah and her family were rounded up and forcibly marched to a labour camp in a village called Adampol which was a few miles from Wlodawa. Over time most of her family disappeared. Her father and his cousin managed to escape and joined the partisans. Only Hannah and her mother remained in Adampol. One of the things that the partisans did in the area was to warn Jews in work camps and other places of imminent raids by Nazi killing squads if they had discovered the information. In the last winter of the occupation, Hannah fell ill with a high temperature and suspected typhoid so her mother would not leave when her father came to warn them of the impending action the next day. The next morning the Nazi police arrived and her mother with other people were taken and lined up round by the village well where she was shot. Hannah remained in the camp and survived as best she could. Hannah was finally liberated by a Soviet soldier who picked her out of a trench dirty and very hungry. After the war her father found her and they lived in Lódz. Eventually in 1949 Hannah was brought on her own to Britain to live with her great aunt and uncle in London. In 1953 her father left Poland to go to Israel. Hannah now lives in London having married in 1961 and had four children and eight grandchildren. 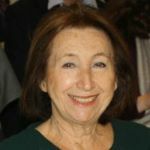 She has been sharing her experiences in schools and universities for several years so that young people today can seek to understand the impact the Holocaust has had on the contemporary world.